While we don’t recommend doing the books on your own (unless you’ve got an accounting background), it’s still important to have a good grasp on the drivers of your business finances. That being said, let’s take a look at the 23 bookkeeping terms every small business owner should know. Accounts receivable – many businesses offer credit terms to their customers and accounts receivable represents the balance of money owed to a firm for goods delivered or services rendered but not yet paid for by customers. Accounts payable – think of this as an IOU to your creditors or suppliers that must be satisfied within a certain time frame to avoid default. 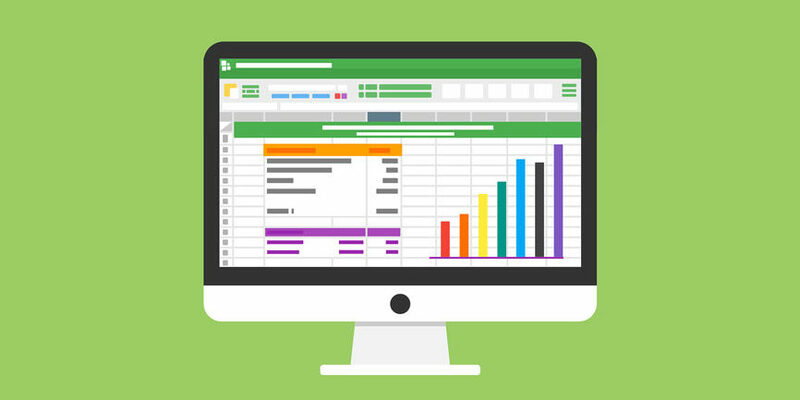 Single entry bookkeeping – records money as it comes in and out of the business in a simple spreadsheet, with one entry for each transaction. This method is recommended for cash businesses or those with a very simple structure and a low volume of activity. Double entry bookkeeping – every transaction affects two accounts i.e. for every debit in one account, there must be an equal credit in another. This bookkeeping methodology allows you to anticipate your cash flow needs as it track accounts like inventory, accounts payable or accounts receivable. Trial balance – this is a statement of all debits and credits under the double-entry method of bookkeeping. Bank reconciliation – the final total of debits and credits must match in order to complete the reconciliation of your accounts. Bank recon is important because it allows you to detect fraud, prevent overdrafts, identify bank errors and forecast cash flow. Cash flow – this refers to the movement of cash and cash-equivalents (short term, liquid assets such as treasury bills) into and out of a business. Positive cash flow allows your business to meet current obligations, reinvest and plan for future growth. Break-even point – this is the sales volume at which a business can exactly cover its fixed and variable expenses. Income statement – outlines your business’ profitability over a period of time (for example: a particular month, quarter or year). For this reason, the income statement is often referred to as the profit & loss (P&L) statement. It shows revenue (sales of goods and services) minus expenses. Balance sheet – this is another key financial statement that provides a snapshot of your company’s financial position as at a specific date. Just like taking a family portrait every Christmas and compiling a photo album, you can compare the “pictures” of your business, year to year to identify any changes. Asset – this refers to any resource owned by your business that can be measured and has value. Examples include cash, accounts receivables, inventory, land and equipment. Assets also include prepaid rent. Liability – think of a liability as the opposite of an asset. These are the obligations of your business — amounts you owe to creditors. Liabilities typically have the word “payable” in their accounting entry. For example: notes payable, accounts payable, interest payables and salary payable. Equity – the amount remaining when you subtract your liabilities from your assets. In other words, your business is financed by debt obligations (liabilities) and owner investments (equity). Liquidity – describes how quickly an asset can be converted to cash. Without a good degree of liquidity, your business runs the risk of not being able to pay the bills, or worse case, keep its doors open. Working capital – this is the most basic measure of liquidity. It is calculated as follows: Current (short-term) Assets minus Current (short-term) Liabilities. COGS – also known as, COGS or cost of sales, this metric refers to all expenses directly tied to the sale of products in your inventory. For a service-oriented business, this represents the cost of services rendered. Revenue – represents the sales a company earns from providing a service or selling a product. Also known as Sales, this is the first line that appears in the Income Statement. Gross Margin – is the difference between revenue and cost of goods sold, expressed as a percentage. This is an indicator of your business’ ability to cover the remaining expenses outside of the cost of goods sold. Expenses – refers to money spent or costs incurred to generate sales. Examples include wages, utilities, office supplies, marketing, etc. Fixed costs – as the name suggests, these expenses remain constant regardless of output e.g. rent. Variable costs – are tied to production levels and rise as your sales volumes increase e.g. hiring freelancers to handle an unusually large order. As you can see, there are many moving parts involved in bookkeeping. All of these are business critical functions but they take a considerable amount of time away from your core business. If you would like to focus more on strategic, revenue-generating activities, then outsourcing your bookkeeping needs might be the solution you didn’t know you needed. With virtual bookkeeping services like those offered by RQB, you can transfer these tasks to an entire team of experts, leaving you more time to do what you do best: grow your business. In addition, RQB will help customize the scope of work you require and tailor solutions that take into account your budgetary constraints. Leveraging our scalability means you get to save the time – as well as the cost and hassle of hiring an in-house bookkeeping. In turn, you can use the additional efficiencies to gain a competitive edge and effortlessly scale your own business. Be sure to reach out to the RQB today to see how we can meet your needs! PreviousPrevious post:Bank Reconciliation for Small Businesses: Why It’s Important and How to Do ItNextNext post:What is an Accounts Receivable Aging Report?